How do Employee Breaks affect Timecards? 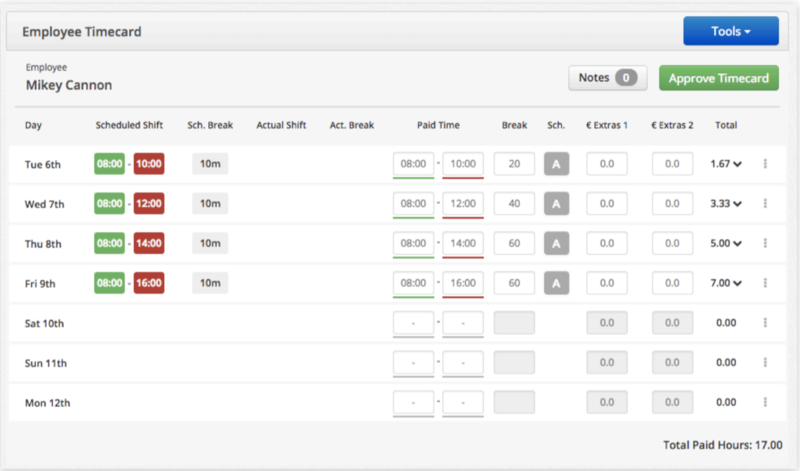 Break rules on timecards will appear in the break column. There won’t be any visual change to the appearance of the paid break time field. If you update an employees paid time to activate a different automatic break rule, the break time automatically updates. If you manually edit the break time, the auto break rule is overwritten.